Everybody loves avocados! And, even if you are early in your pregnancy, your stomach might be starting to get the rounded look of an avocado seed. 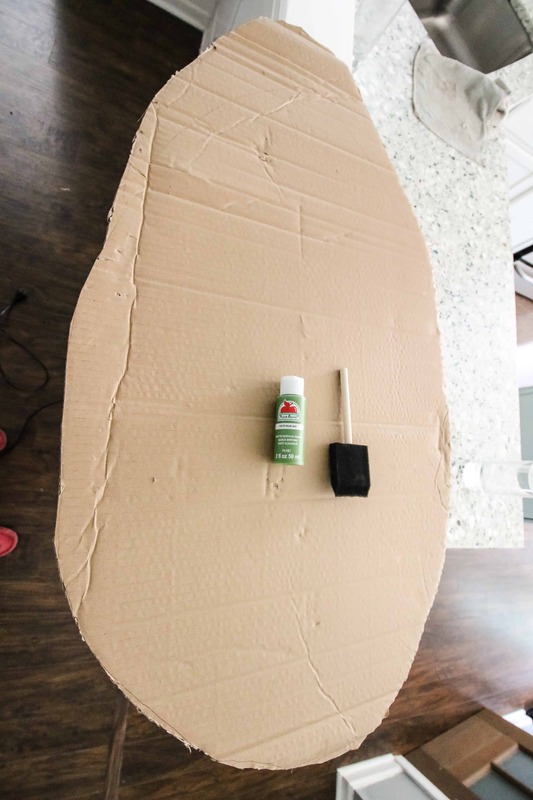 This DIY pregnant avocado costume is super simple to make and can be a great last minute maternity Halloween costume. 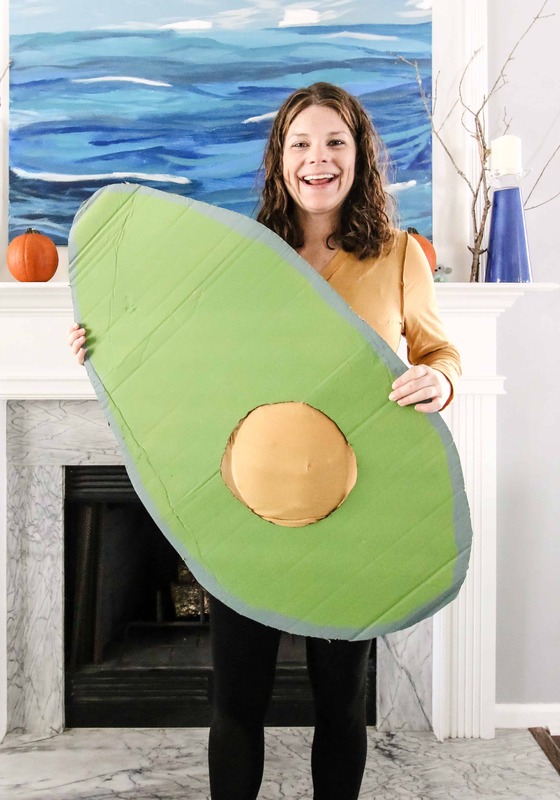 I also love that it is a cardboard cut out – it’s a great costume for something like a work party because you can take it off easily and sit at your desk in just the brown shirt and pants of your choice, but quickly grab the avocado cut out for pictures or a party! You could use a piece of foam core for the avocado. I wanted mine to be larger and actually used the side of a large mailing box. Trace the shape of an avocado onto the cardboard. It’s roughly a rounded teardrop shape. Use scissors to cut out the avocado shape. 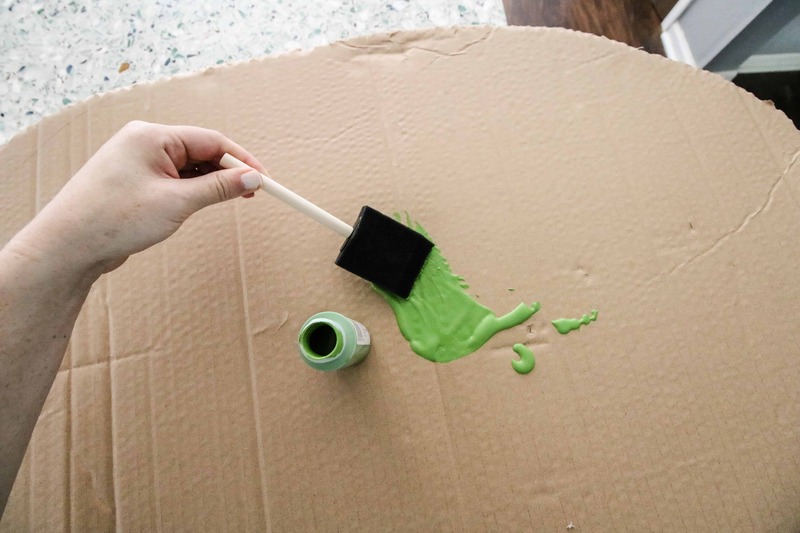 Paint the cardboard green. I used a bright green for the “flesh” and then came back with a darker green for the “skin”. Once dry, hold it up to your body. Mark where the belly hole should go and use scissors or knife to cut it out. 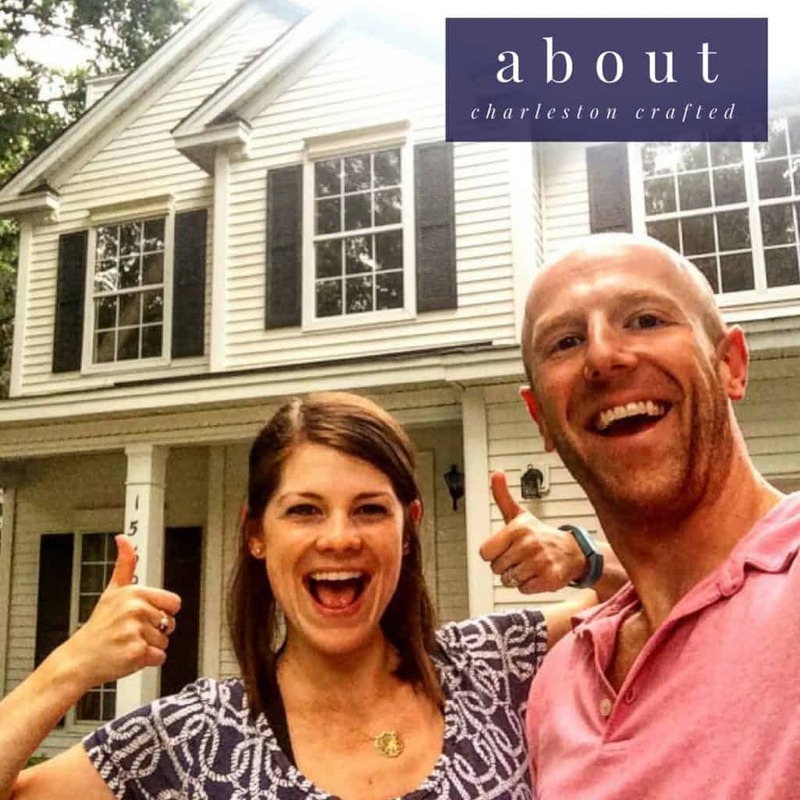 It is helpful to have a second set of hands to get the placement just right. Wear a brown shirt underneath for an authentic “seed”! This is a really fun costume and should get a lot of laughs! It could also turn into a couples or group costume with friends dressed like any other food items! What’s your favorite maternity Halloween costume?